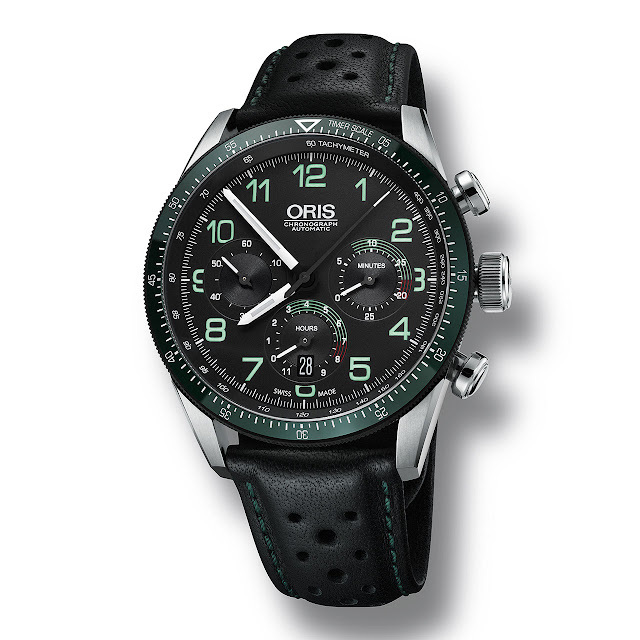 Oris takes us to the island of Mallorca for the Oris Rallye Clásico, of which it is the title sponsor. For the latest edition of this classic car rally, the brand unveils a chronograph which is inspired by the dashboard instruments of the 1960s and 70s sports cars taking part. Hour and minute counters have been rotated 270° while the mechanism is designed so that hands reset to zero between 8 and 9 o'clock, as on the counter of a stationary car. This new watch also takes its colours from car dashboards. The back is engraved with a "tieknot" representing the hairpin bends in the mountain roads where the race is held. This chronograph is proposed as a 250-piece limited series. 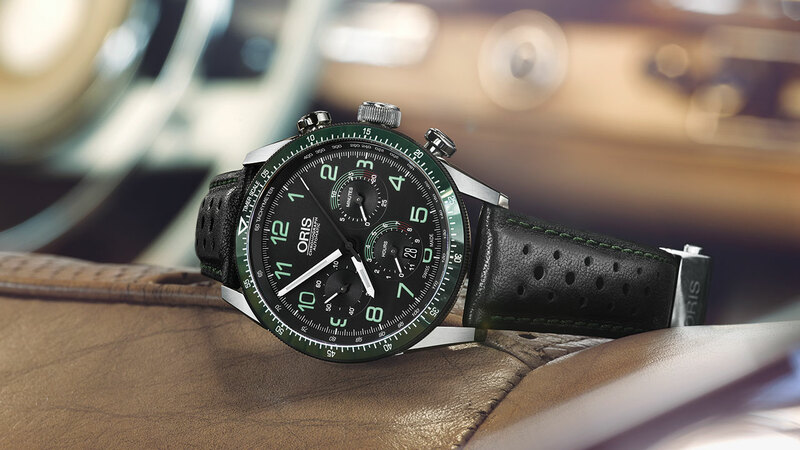 The Oris Calobra Day Date Limited Edition II, also a special issue for the 2015 rally, is made as a 1,000-piece limited series.